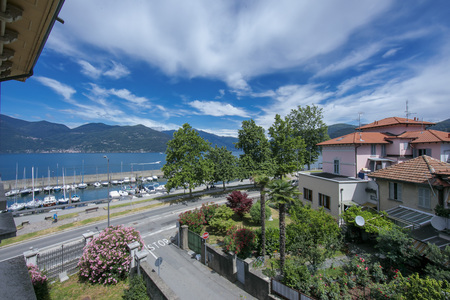 Marvel at the beautiful views of Lake Maggiore, from this 2-bedroom balcony retreat! 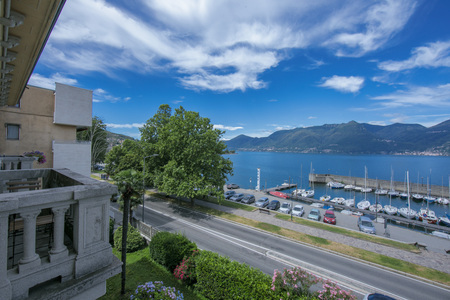 Situated along the main lake road into Luino, this period-style lakeside apartment offers a generous-size holiday home to call your own. 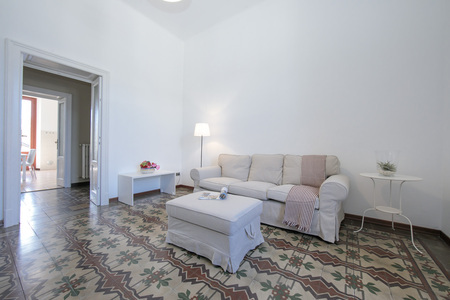 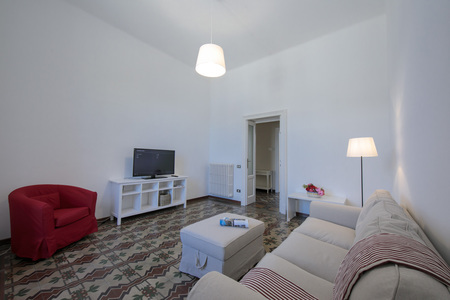 Inside, the 2nd floor apartment boasts a spacious living room with lake view balcony, a modern sofa and a flat screen TV, alongside original tiled flooring. 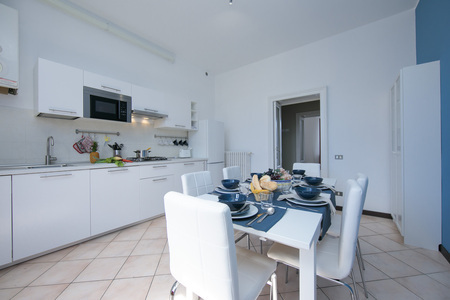 An adjoining separate kitchen diner offers plenty of space for entertaining, whilst a master double bedroom with lake views provides a restful haven for scenic holiday slumbers. 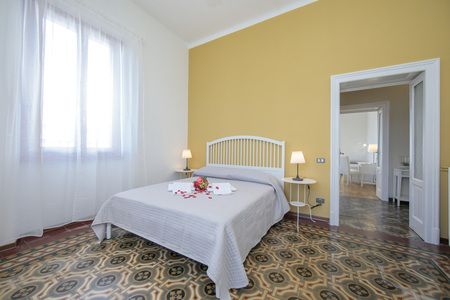 The second lake view guest bedroom is equally well proportioned and offers a double bed and a separate single bed; making it ideal for families and friends. 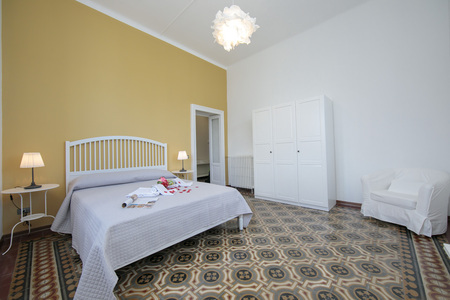 The parquet flooring really enhances both light and airy bedrooms and brings a timeless ambience to the updated interior. 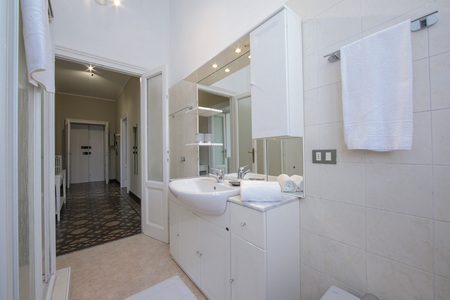 A contemporary fitted shower room completes the layout of this uplifting retreat. 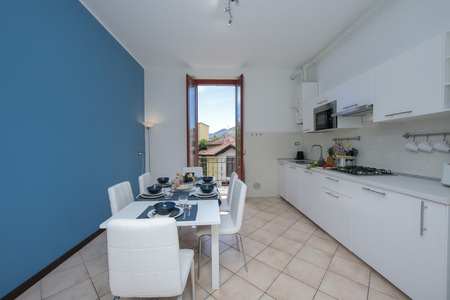 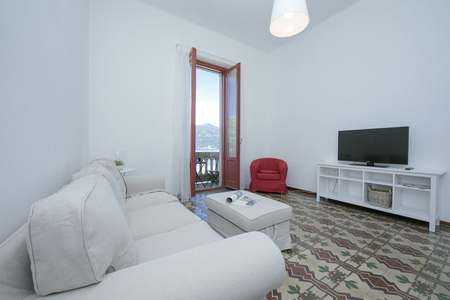 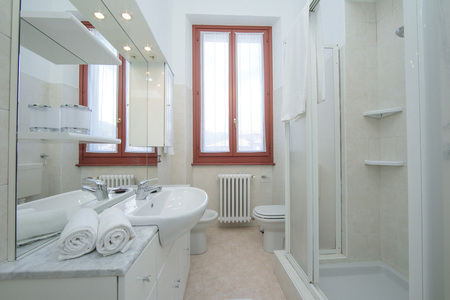 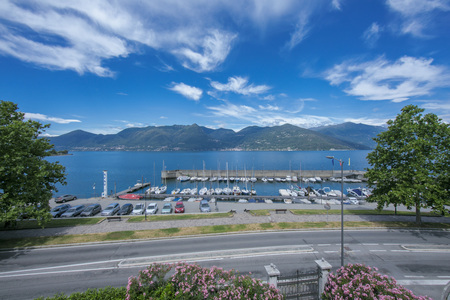 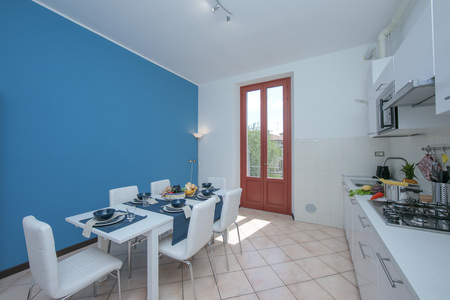 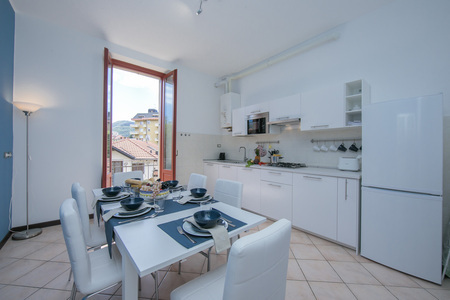 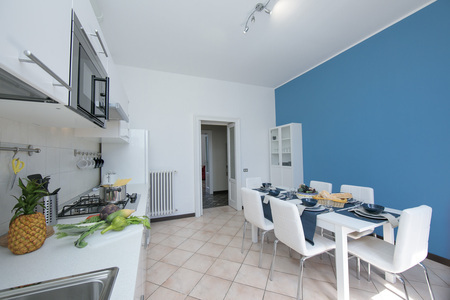 A private parking space features with the apartment, which is located opposite the quaint harbor of Luino. 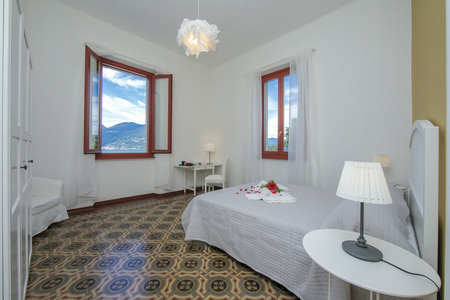 Sleeping- Bedroom 1: A scenic, spacious double lake view bedroom with wardrobe Bedroom 2: A lake view guest bedroom with double bed, single bed & wardrobe Bathroom- Bathroom 1: A spacious shower suite with wash basin, WC & bidet Additional- • Central heating • Flat screen TV • Upon request a portable WiFi device can be hired • Washing machine provided • 52 external steps • Shared garden • Private balcony • Alfresco bistro café set for 2 • Please note that due to the convenient location, some road noise can be heard Location: Situated along ‘Via Isola Dei Fiori’, the busy, convenient lakeside road leads in no time to all the resort highlights and amenities of Luino (5 minutes’ walk away). 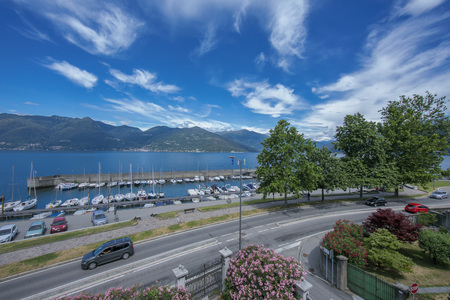 Alongside its charming harbor just opposite and delightful visitor-friendly appeal, the town also benefits from a train station (800 metres away).